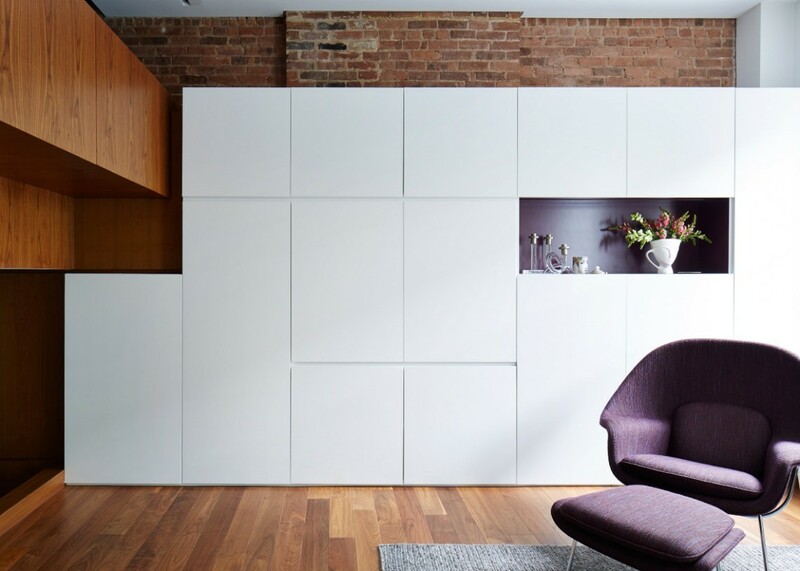 Brickwork walls, walnut floor, white cabinets and purple furniture are the highlights of this gorgeous modern apartment in the heart of Manhattan, New York. 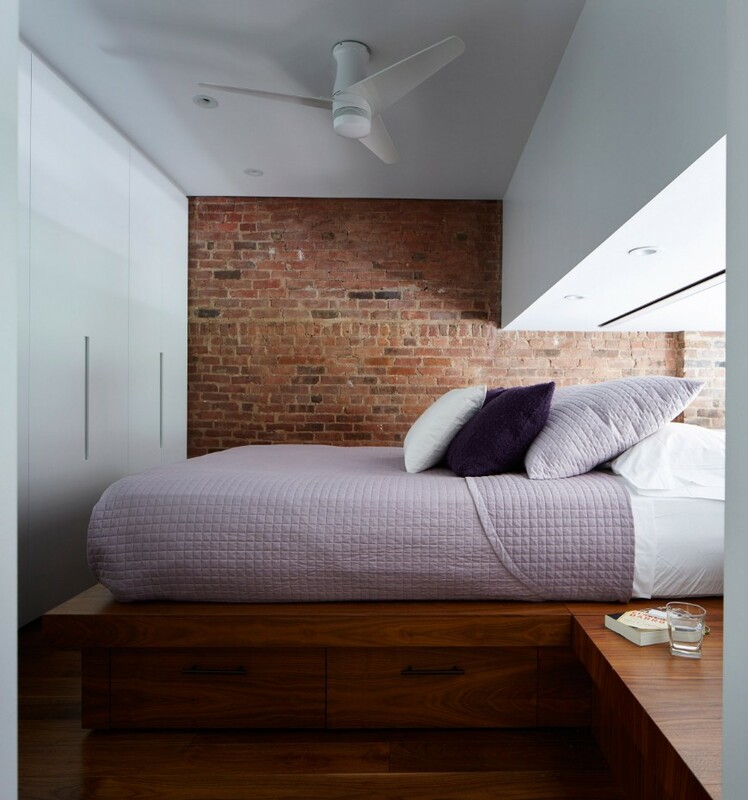 White cabinets interlock with the walnut wall panels and provide a brightening offset to the existing brickwork walls. 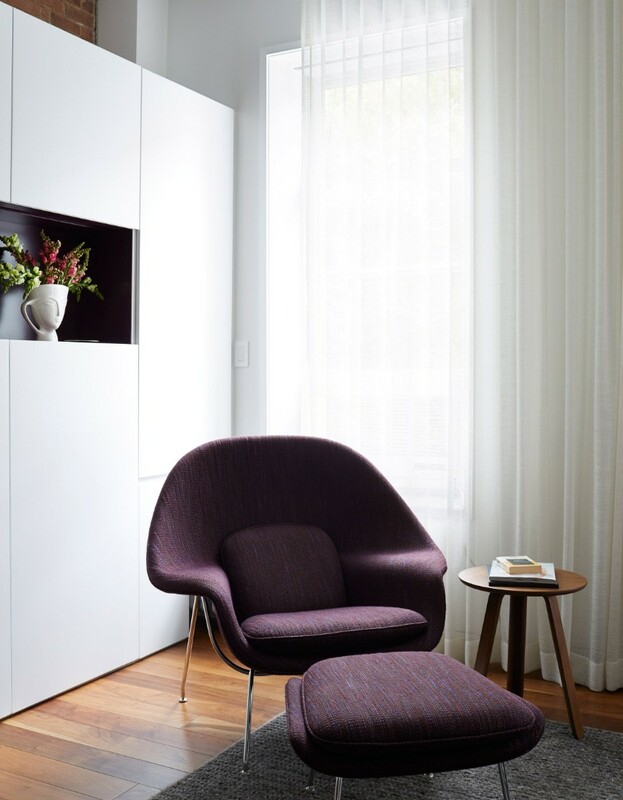 This purple armchair suits perfectly in this living space. Don’t you agree? 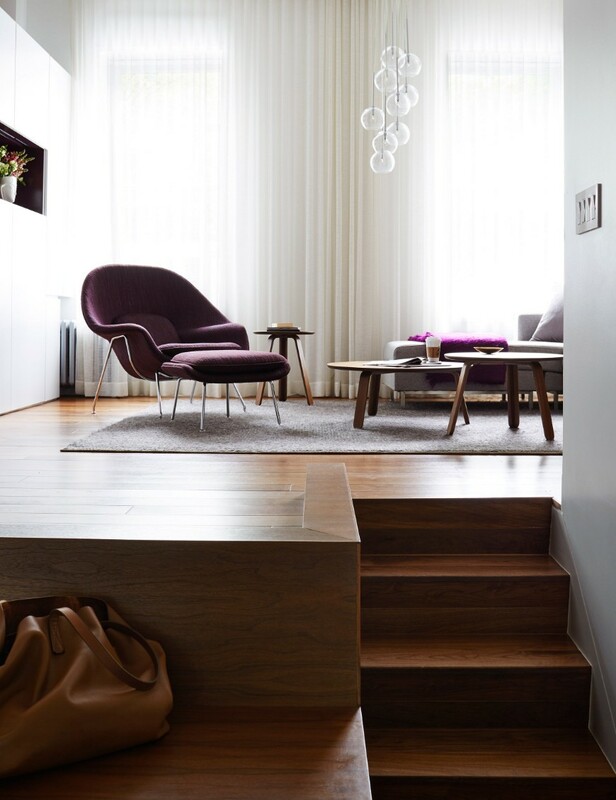 This contemporary living room has soft lines and a lovely gray sofa. 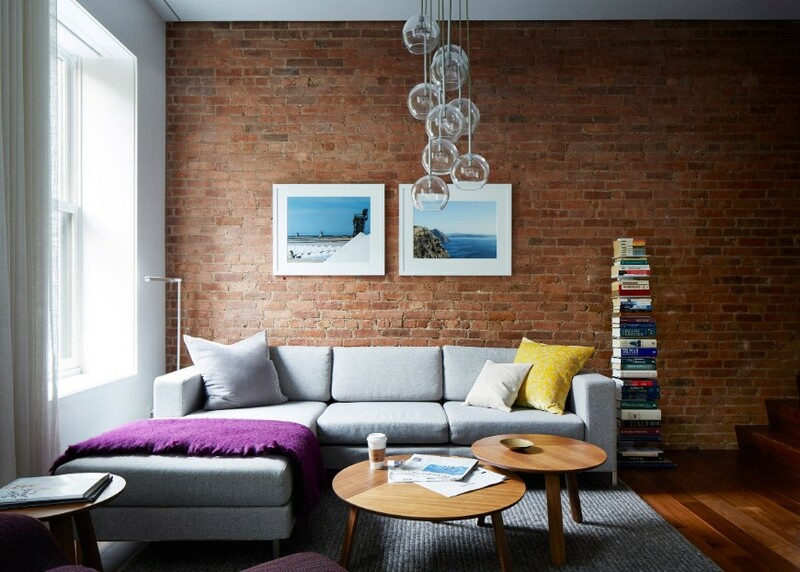 We really love the detail of brick walls with an industrial vibe and the minimalist pendant light. The modern kitchen and dining room are on the lowest story, with a set of steps leading to the lounge, while the bedroom and the bathroom occupy a mezzanine floor above. 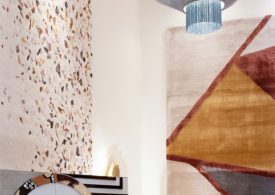 “By reconsidering the bed and headboard as both architecture and furniture, we conflate an architectural guard rail with a furniture-like headboard,” said the studio. 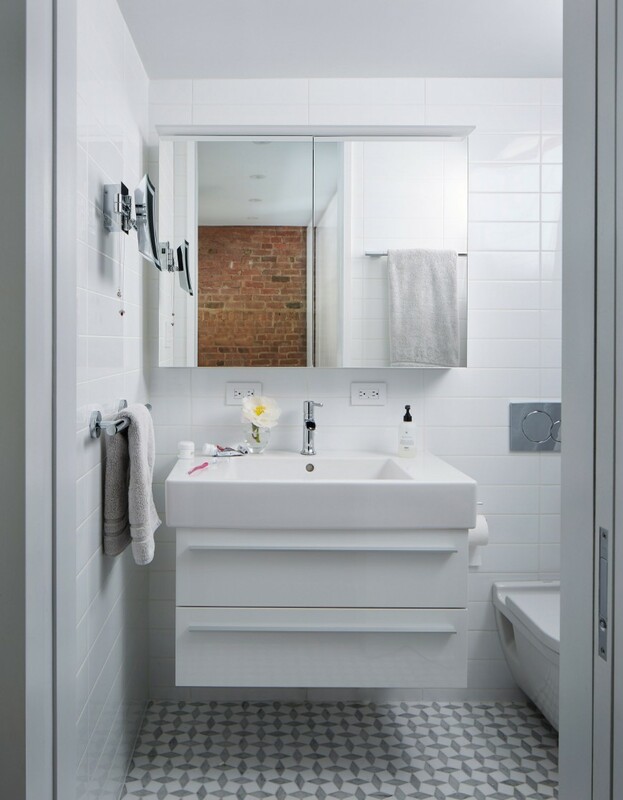 White tiles line the walls complementing the white bathroom suite, while the floor is covered with a graphic grey and white tile. 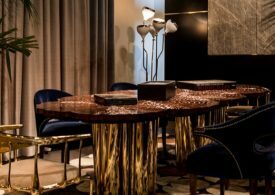 Hope you liked this stunning apartment in New York City!